Weakness of plantar flexor muscles is related to reduced push-off and forward propulsion during gait in persons with cerebral palsy (CP). It has not been clarified to what an extent altered muscle contractile properties contribute to this muscle weakness. Here, we investigated the torque generating capacity and muscle fascicle length in the triceps surae muscle throughout ankle range of motion (ROM) in adults with CP using maximal single muscle twitches elicited by electrical nerve stimulation and ultrasonography. Fourteen adults with CP (age 36, SD 10.6, GMFCS I–III) and 17 neurological intact (NI) adults (age 36, SD 4.5) participated. Plantar flexor torque during supramaximal stimulation of the tibial nerve was recorded in a dynamometer at 8 ankle angles throughout ROM. Medial gastrocnemius (MG) fascicle length was tracked using ultrasonography. Adults with CP showed reduced plantar flexor torque and fascicle shortening during supramaximal stimulation throughout ROM. The largest torque generation was observed at the ankle joint position where the largest shortening of MG fascicles was observed in both groups. This was at a more plantarflexed position in the CP group. Reduced torque and fascicle shortening during supramaximal stimulation of the tibial nerve indicate impaired contractile properties of plantar flexor muscles in adults with CP. Maximal torque was observed at a more plantarflexed position in adults with CP indicating an altered torque-fascicle length/ankle angle relation. 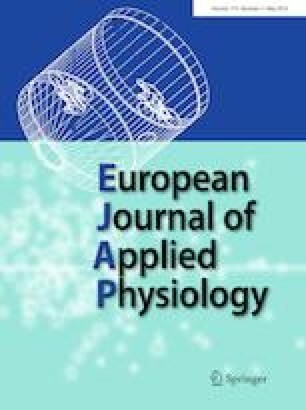 The findings suggest that gait rehabilitation in adults with CP may require special focus on improvement of muscle contractility. The online version of this article ( https://doi.org/10.1007/s00421-019-04102-z) contains supplementary material, which is available to authorized users. We are grateful to Michaël Bertrand and Rafael Curbelo for valuable help with the experiments and to all participants. The study was supported by the Elsass foundation, Charlottenlund, Denmark. The foundation was not involved in the conduct or decision making regarding the work presented in the paper. JBN, JLO and RFF have conceived and designed research. JBN, JLO and RFF conducted the experiments. RFF and LB analyzed data. RFF did the statistics and wrote the manuscript in collaboration with JBN. All authors have read and approved the manuscript. No conflicts of interest, financial or otherwise, are declared by the authors. All authors have contributed essentially to the work and have approved the final publication.